Unprofitable YouTube TV is playing a supporting role in Verizon’s 5G Home broadband roll-out. Meanwhile, Comcast’s profitable X1 pay TV is playing a supporting role to X1 broadband. What happens when the two of them go head-to-head? We are about to find out. 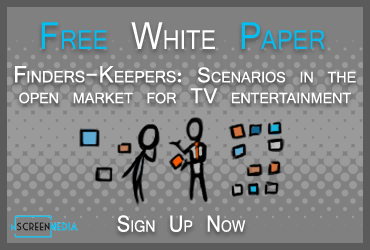 In this second-fiddle role, pay TV profitability comes before subscriber numbers. Rather than fighting to keep every video customer, Mr. Roberts seems happy to let those paying less leave. Better to retain the higher-paying video customers and maintain profitability. Today, he sees broadband as the anchor service in his cable business. He plans to invest more there and move the company toward what he calls “Broadband 2.0.” The effort has the company shifting focus from speed to broader network coverage and better management. There is no starker illustration of this new reality than the deal Comcast struck recently with Amazon. Comcast will make Amazon Prime Video available on its set-top boxes to X1 subscribers later this year. The agreement means that Comcast customers can now choose to subscribe to HBO Now through Amazon and watch on the X1 STB rather than subscribe directly through Comcast. Subscribers can also rent and buy movies through Amazon rather than from Comcast. It’s a risky strategy, but Mr. Roberts seems to believe it will help keep broadband customers and retain high-paying X1 subscribers. Will it be enough to fight off the coming competition from 5G providers? A free Apple TV or Chromecast Ultra. Verizon 5G home costs $50 per month for wireless customers and $70 for non-customers after the trial period is over. It is unclear what the deal looks like between Verizon and YouTube TV. However, one thing is certain: even after the introductory period expires and YouTube TV receives $40 a month per subscriber, it will still be unprofitable. Moreover, after the massive investment Verizon has made to deliver 5G service, it could be a long time before it shows a profit at $50/$70 a month. However, profits aren’t important for Verizon and YouTube TV: subscriber growth is. Assuming 5G performs as advertised, the Verizon 5G Home offer is sure to persuade many to take a serious look. Mr. Roberts will be hoping that in competitive markets like Indianapolis and Houston the people that jump first are his unprofitable customers. However, the majority of his broadband customers still judge the service by speed and price and won’t perceive network coverage and manageability as a big advantage. He almost certainly will be forced to cut prices to compete, and profitability will suffer. Unfortunately, things will get worse before they get better for Comcast. AT&T, T-Mobile, and Sprint all will launch 5G in the coming months. You can bet TV services will play the same supporting role in their packages as at Verizon. Comcast has relegated pay TV to a supporting role to broadband and focusing on its most profitable customers. The company is also focusing less on broadband speed and more on coverage and manageability. Verizon’s new 5G home broadband matches Comcast’s broadband performance and throws in unprofitable YouTube TV for free. 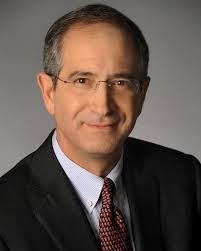 Comcast’s focus on profitability will be for naught when it is forced to cut prices to compete.